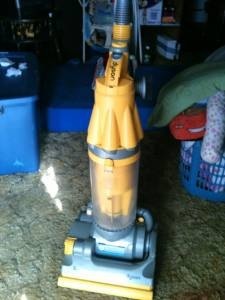 Leah and I have wanted a Dyson from the first time we saw the tv commercial. It looked so cool and they must work well because they’re German, right? We even added one to our wedding registry but we had no luck (they’re a tad bit expensive). 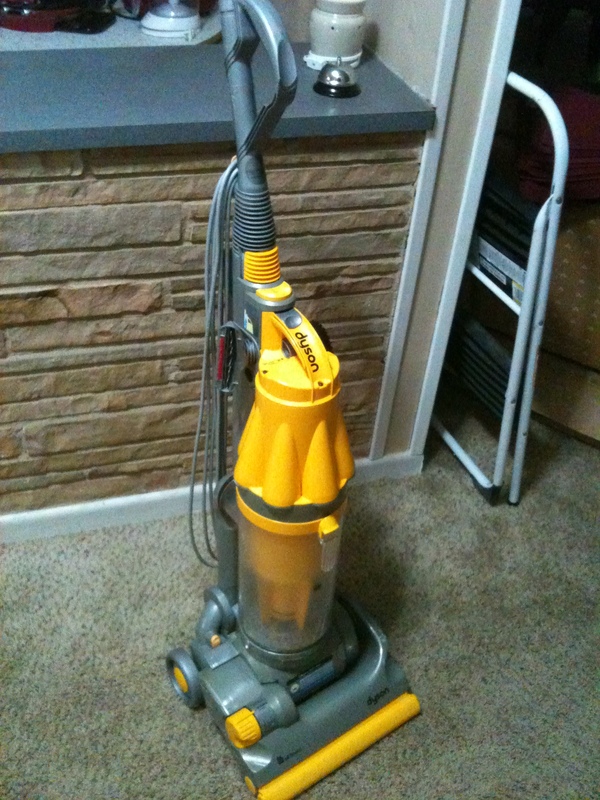 As we were moving from our old house to our new house, a great friend of ours let us borrow her Dyson and, after spending countless hours with it, my love for Dysons soared once again. Ubenounced to Leah, I setup a search agent on my Craigslist App in hopes we could find a deal. Two weeks later as I entered into my weekly tradition of eating Friday lunch at New York Pizza, an alert popped up for a Dyson, for sale by owner. I couldn’t believe my eyes because they rarely come up for sale, and best of all it was only listed for $100! (Dysons brand-new are $400). I immediately called the seller and learned that it was 7 months old and a friend had given it to him. He lived in Carbon, TX which is about 60 miles from where we live. Luckily I was having lunch with my Craigslist partner-in-crime so we made a plan to pick it up that afternoon. CLK: So no luck on fixing the problemn? Seller: Nope, I don’t know why it’s broken, I feel bad that you came all the way here to get it. CLK: Well since I did drive out here I might as well buy it. In its current condition, what’s the best price you can give me. A $60 Dyson? I couldn’t believe my ears! We quickly loaded up the vacuum and headed home. Once I got home I decided to vacuum the whole house and after about 20 minutes the sound almost completely went away and it worked like a charm! This is a classic example that things aren’t always as they seem. When you encounter situations like this, remember to use it to your advantage – negotiate! Often a broken part or missing piece can lead to a BIG discount and with just a little elbow grease, you’ll have something that works like new at a fraction of the cost. So, what about you? Any great stories of how you’ve gotten a BIG discount on something that was ‘broken’? This entry was posted in Craigslist King, Flooring by ppoarch. Bookmark the permalink. Tasha and I are debating about what vacuum to get. I am not too familiar with Dyson, but apparently they are worth looking into. I am a craigslist regular. I have play the same card a few times. I enjoy a good bargain story, thanks!